We offer OKC shaft couplings and OKF flange couplings. OKC couplings are the standard with many well-known controllable pitch propeller manufacturers in the world, but are also used for other applications such as rolling mills, pumps, diesel engines, etc. OKCX coupling is a variation of OKC coupling, that coated with special material to increase its grip to the shafts, therefore, allows higher toque to be transmitted. 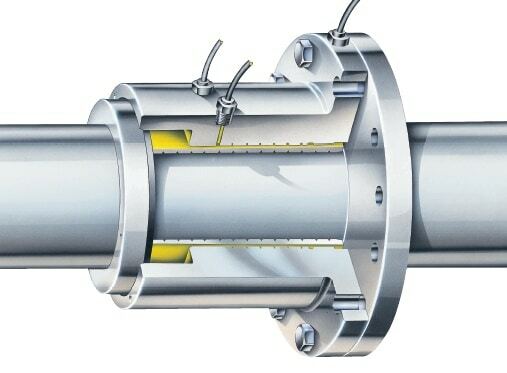 The OKF coupling was developed to create a simple connection between a cylindrical shaft and engines or gearboxes having a flanged at the thrust shaft. 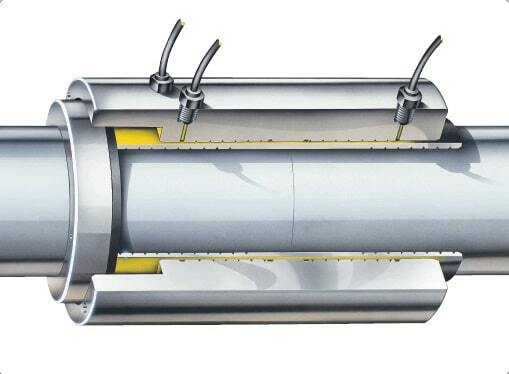 OK couplings allow to join two shafts without any prior preparation. Couplings do not require machining, tapering or heating of the shaft. This connection uses friction tension to transmit torque and axial loads over the entire area of the shaft. It is impossible to achieve these benefits with traditional systems. Shafts are connected with a thin inner sleeve that has a tapered outer surface. A larger outer sleeve with matching inner diameter fits on top of the inner sleeve. Mineral oil is injected in between of two sleeves and built-in hydraulic jack slides top sleeve up the taper. OK couplings are easy to mount on-site, moreover, coupling can be easily dismounted. Necessary tools and equipment for mounting and dismounting a coupling can be supplied together with a coupling. To enquire about shaft couplings, please, use our enquiry form.